Made of ash wood and coloured jewelry resin. 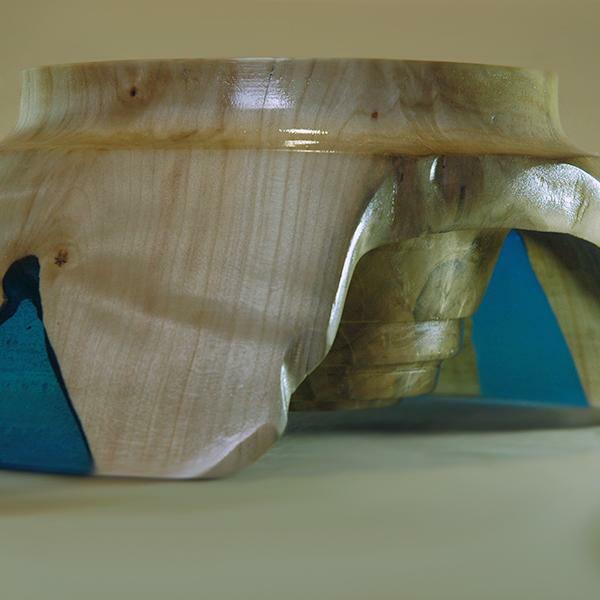 An exquisitely-shaped vase made of light ash wood and decorated with parts of blue semi-transparent jewelry resin. A great vase for fruit or candy. An interesting item to place in your dining room.